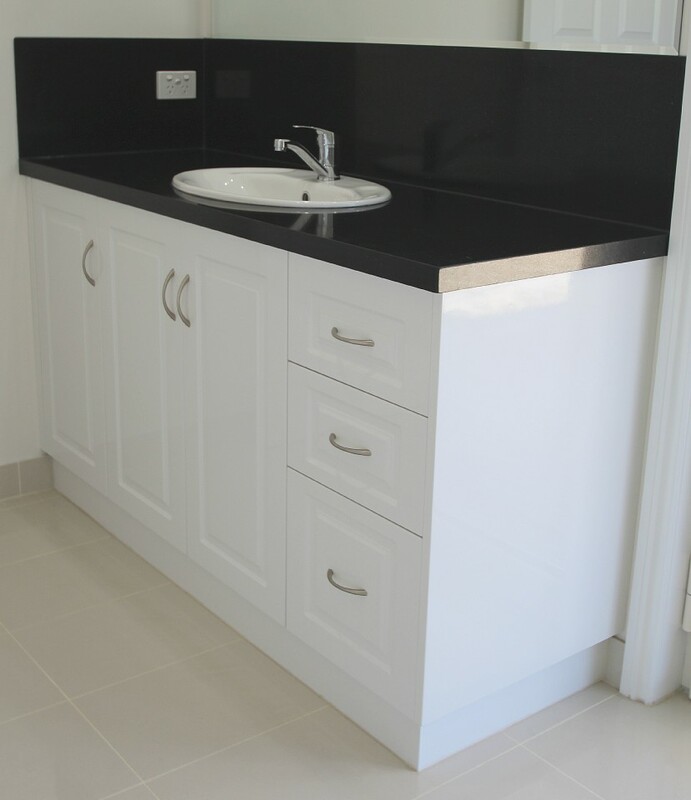 Whether you are installing a bathroom vanity or cabinetry in to your new home, doing a renovation in a bathroom and en-suite, we can design and custom build cabinetry to suit your space, tastes and budget. 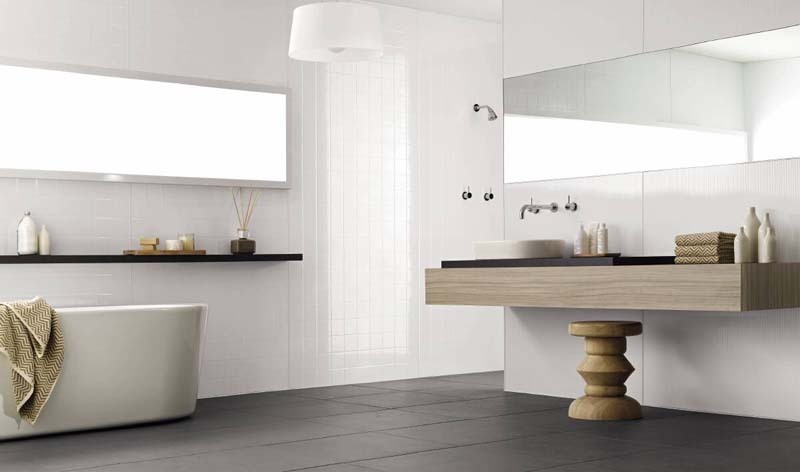 Our experienced designers, joiners and cabinet makers are always coming up with new and innovative bathroom storage solutions to incorporate into any bathroom design. 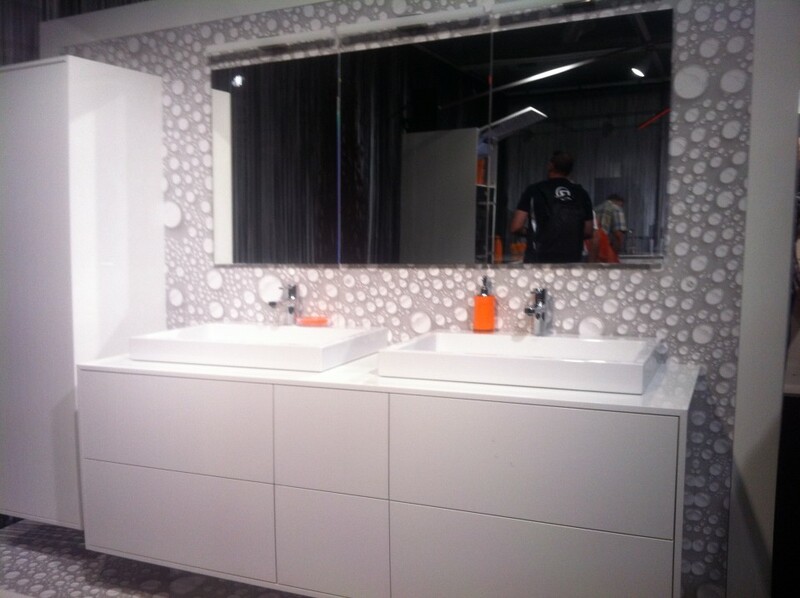 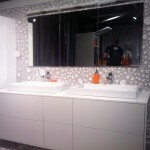 Come and look at our vanity display in our Ballarat showroom to get ideas and inspiration. 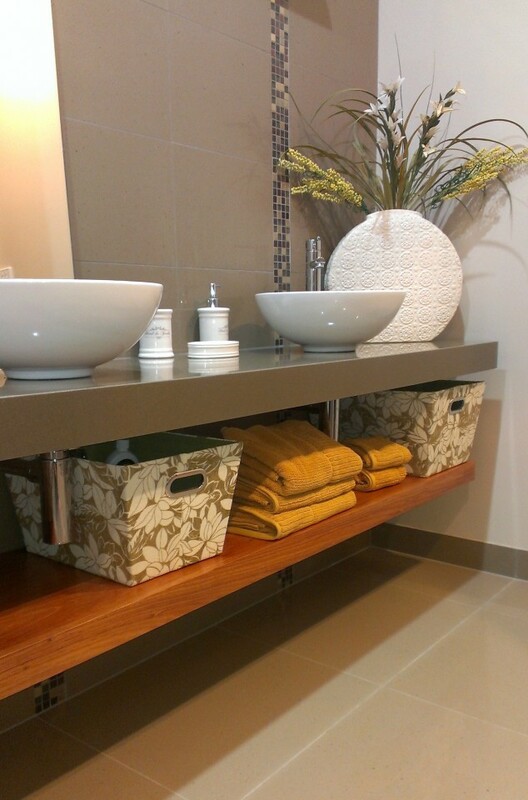 Storage is always a consideration in these rooms. 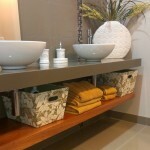 The inclusion of drawers and tall storage cabinets can greatly improve your storage options. 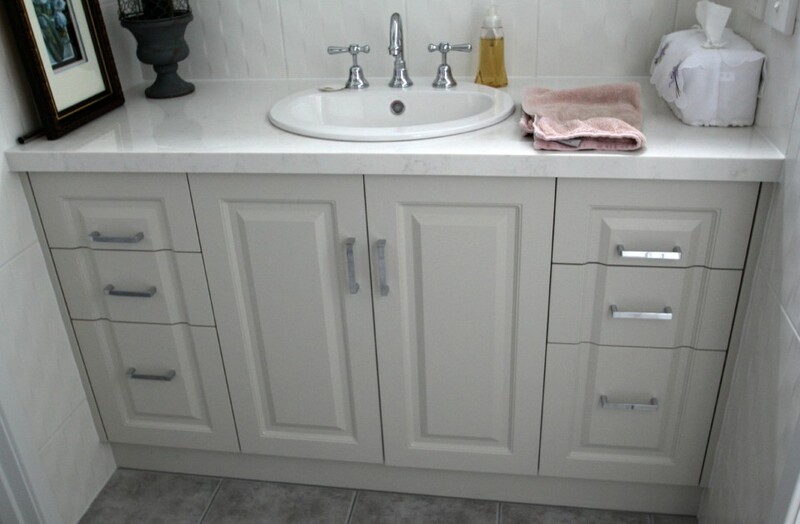 Another consideration is whether to use handles, as you can see below a handle can make a huge visual difference to your cabinetry. 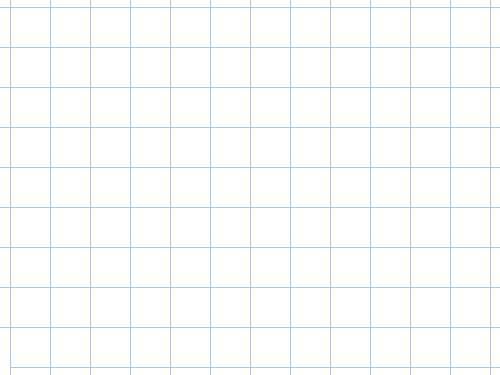 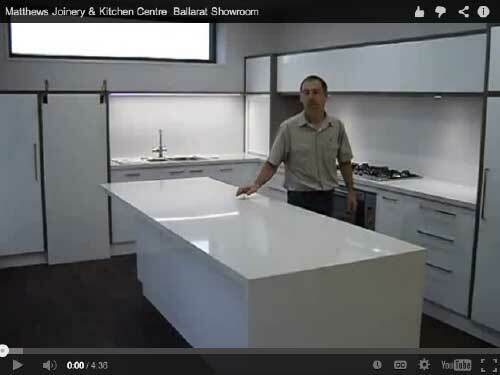 The style of bench top also needs to be looked at, will you use stone or laminate. 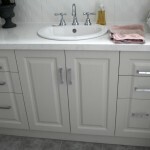 Depending on the size of the room you may need a drop fronted top to house a semi-recessed bowl. 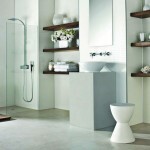 If you have more room you can look at using an insert or a vessel bowl. 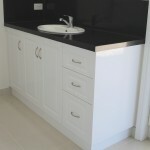 The addition of a small bin to the cabinetry is also a nice feature if you have room. 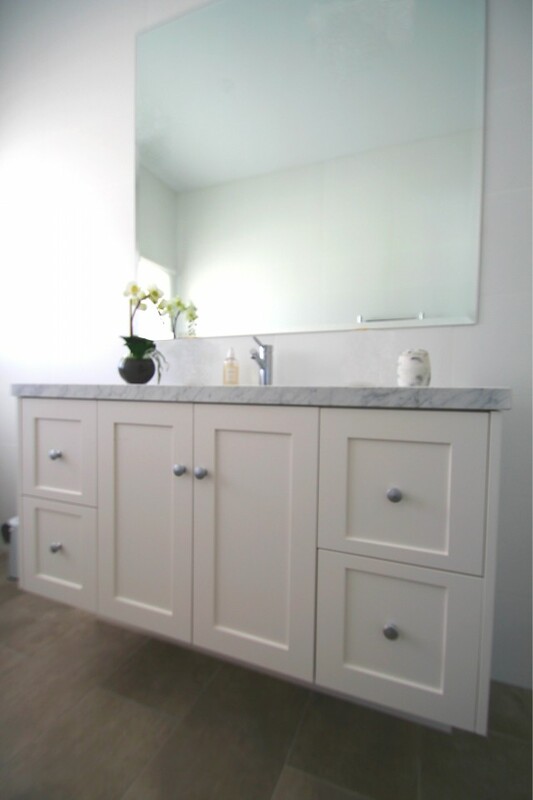 Our team can help design and custom build your dream bathroom vanity and cabinetry, while our ideas gallery and suppliers pages are also a great source of inspiration. 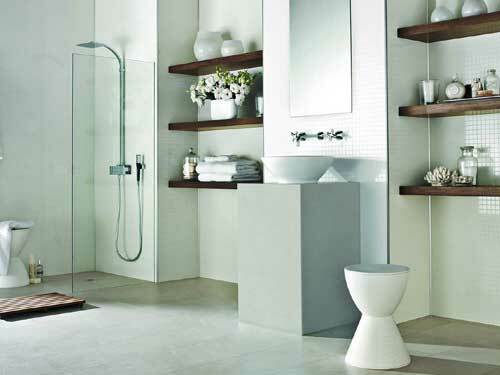 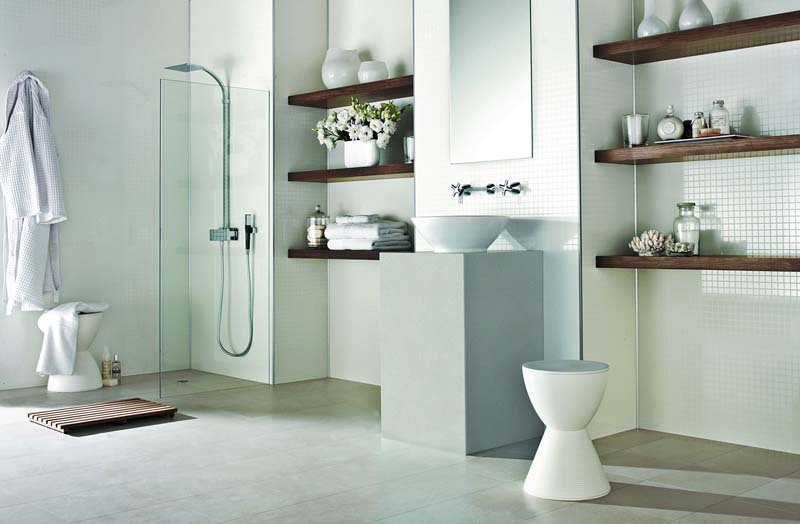 Your bathroom should be an oasis where you can relax, unwind and refresh. 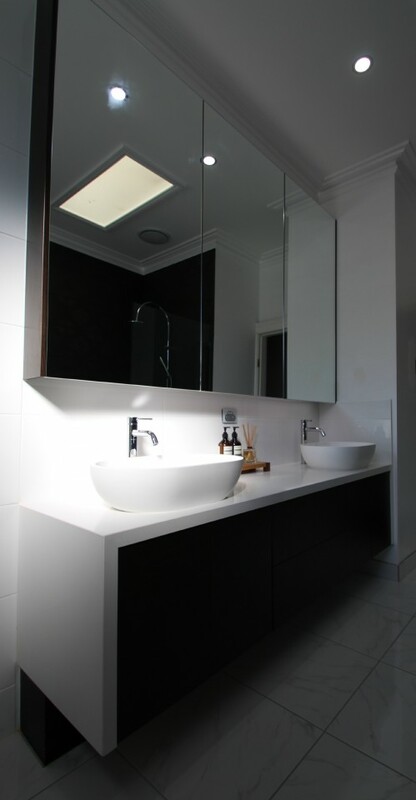 If you have a dream bathroom in mind but wonder how you could make it a reality, book an appointment with our designer to discuss your project. 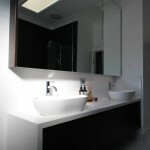 We will work with you to ensure your ideas are brought to life. 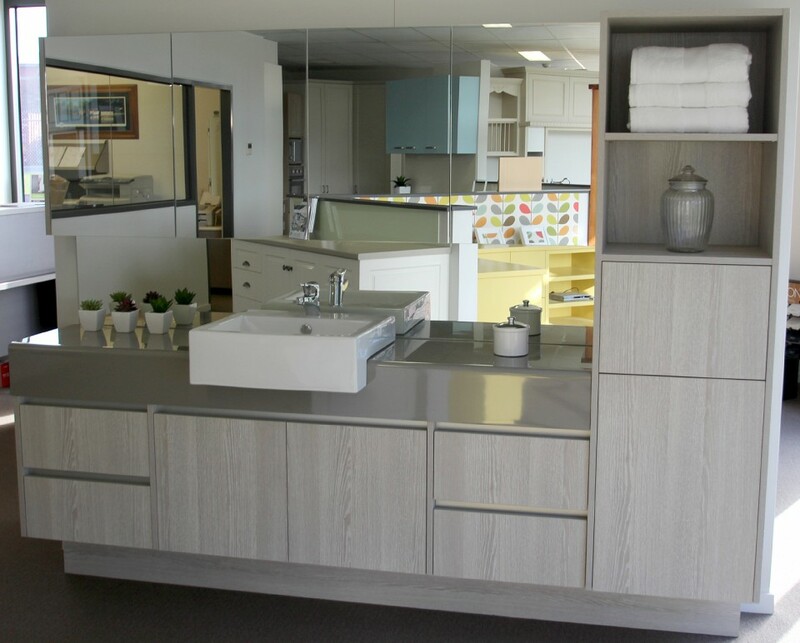 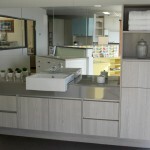 Here at our Ballarat joinery with our team of experienced designers and cabinet makers we can also assist you with custom-built kitchens, custom laundries, cabinets and storage. 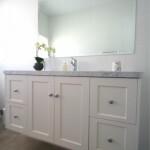 A custom built vanity by Matthews Joinery.